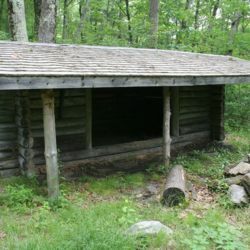 The Limestone Spring Shelter is located in Connecticut and is more than half a mile off the current route of the Appalachian Trail on a blue blazed trail that was once the main route of the Trail. This shelter is maintained by the Appalachian Mountain Club. The Mohawk No. 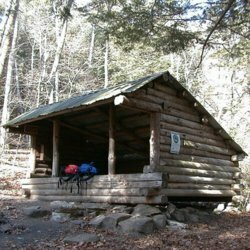 1 Shelter is located on the Mohawk Trail in the Mohawk State Forest, a trail that was the route of the Appalachian Trail in Central Connecticut until the 1980s. This shelter was built by the Civilian Conservation Corps sometime in the 1930s. 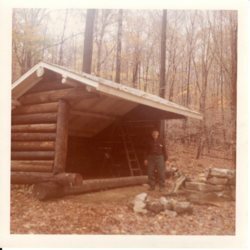 The 1968 Guide to the Appalachian Trail in Massachusetts and Connecticut describes the shelter as having a fireplace and no bunks. Hikers had to obtain permission from the Forest Ranger in the Mohawk State Forest before camping there. 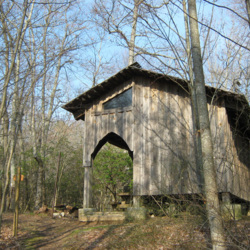 The Plum Orchard Gap Shelter is the northernmost shelter on the Trail in Georgia. 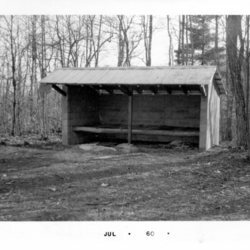 This version of the shelter, which is a replacement for an older shelter, was constructed in the 1980s by soldiers from nearby Camp Frank Merrill. It is maintained by the Georgia Appalachian Trail Club. The Wildcat Shelter in New York is a plank sided lean-to in the standard U.S. Forest Service design. It is maintained by the New York-New Jersey Trail Club and is the first shelter that northbound hikers encounter in New York, or the last they encounter if they are hiking south. The Fingerboard Mountain Shelter in New York is a stone lean-to constructed in the 1930s. It is just north of a popular Trail feature -- the "Lemon Squeezer" -- a narrow rock fissure that hikers must negotiate in order to continue their hike. This shelter is maintained by the New York-New Jersey Trail Club. 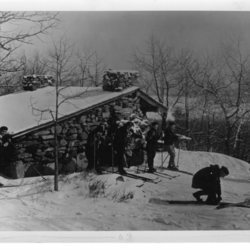 The Wiley Shelter is a traditional Adirondack style lean-to located in New York, just west of the border with Connecticut. It is therefore the last shelter northbound hikers encounter in New York and the first that southbound hikers encounter as they leave New England on their way south. This shelter is maintained by the New York-New Jersey Trail Conference. 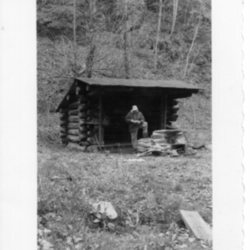 The Wesser Creek Shelter was a traditional Adirondack style lean-to, located just north of Wesser Bald in the Nantahala region of North Carolina. This shelter no longer exists. 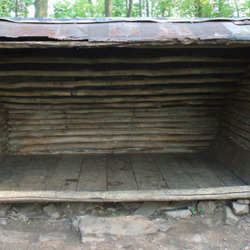 The Windsor Furnace Shelter is located in Pennsylvania, north of the city of Reading. It is a traditional Adirondack style lean-to and was built in 1972. It is currently maintained by the Blue Mountain Eagle Climbing Club. 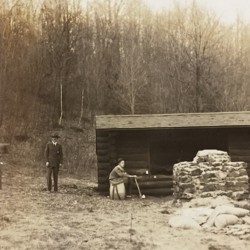 Text from the reverse of the photograph reads: "Windsor Furnace Shelter, PA. John Rappaport, Landowner. This shelter erected in early 1972." 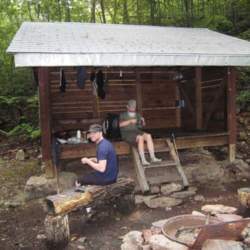 The Poplar Ridge Shelter in Maine is a traditional Adirondack style lean-to, maintained by the Maine Appalachian Trail Club. 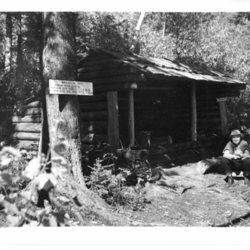 The description on the reverse of the image reads: "Poplar Ridge Lean-to, an ideal resting place." The Abingdon Gap Shelter is the last shelter northbound hikers encounter before entering Virginia, or the first that southbound hikers encounter when crossing over from Virginia to Tennessee. It is a small cement block sided shelter that sleeps only five. This shelter is maintained by the Tennessee Eastman Hiking and Canoeing Club. The Priest Shelter, September 4, 1960. 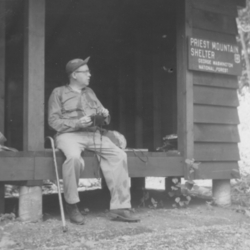 The Priest Shelter was constructed in the 1950s at the completion of a major relocation of the Trail in Virginia. It sits atop The Priest, just south of the Tye River. It is traditional for hikers to confess their sins "to the Priest" in the shelter log book. The Earl Shaffer Shelter, pictured here in August 2008, was dedicated to Earl Shaffer, the first person to hike the entire Appalachian Trail in one year. Shaffer, who grew up nearby, eventually asked that his name be taken off the shelter in 1983, because he felt it had become "too fancy" after the addition of a wooden floor, replacing the old dirt floor. The Susquehanna Appalachian Trail Club disassembled this shelter in 2008, and it now resides at the Appalachian Trail Museum at Pine Grove Furnace State Park (PA).